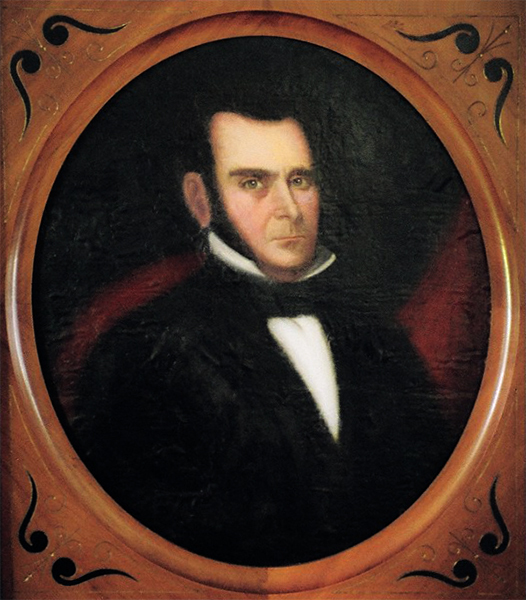 An oil painting of cabinetmaker Augustin Lynch attributed to John Meenerbreuker, ca. 1845. Lynch was a leading furniture maker in Alabama during the mid-nineteenth century, based in Tuscaloosa. Courtesy of the Lynch Family. Provided by the author.